My little sister had a roller derby this weekend. Rice Crackr is fantastic! 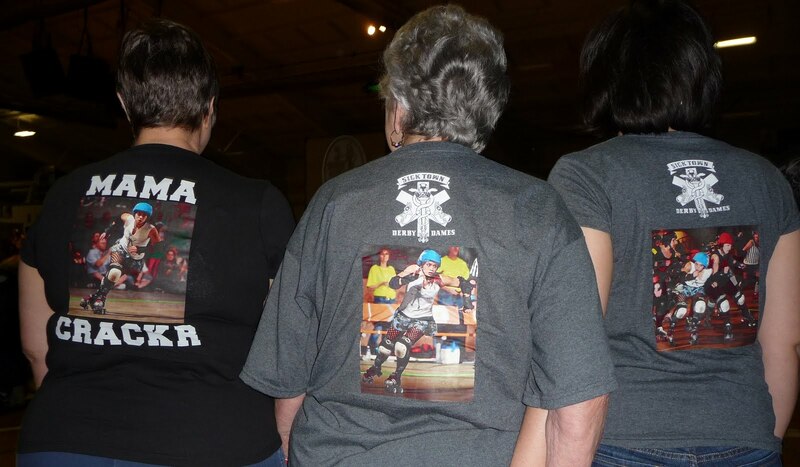 She's a jammer for the Sick Town Derby Dames. Mom, Grandma and I put pictures onto the back of our Sicktown shirts, they turned out awesome. All of the supplies came from JoAnn's, really easy. Shirts are by Flat Track Revolution.